I have always used pencil and charcoal for my portraits. Lately adding watercolor to the mix. For these last three I’ve actually let go and gone straight with permanent marker, ink, sharpie, things I can’t erase. I start out knowing it could be a total failure and I’ ll have to start over (which, of course, has happened). I thought it would be scary, but it actually felt pretty good. I feel free..
02 Apr	This entry was published on April 2, 2013 at 6:55 pm. 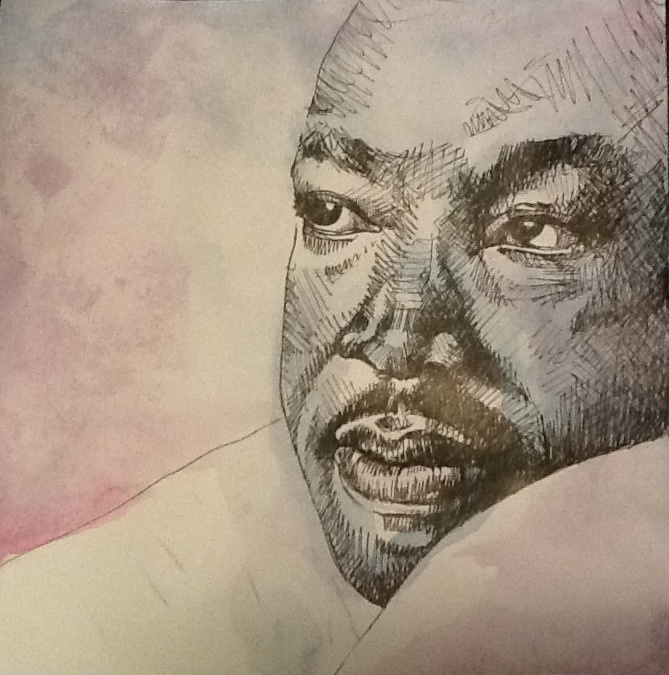 It’s filed under artwork and tagged drawing, dream, free, ink, MLK, pen, portrait. Bookmark the permalink. Follow any comments here with the RSS feed for this post.